(Andrew Medichini | AP Photo) Pope Francis celebrates an Epiphany Mass in St. Peter's Basilica at the Vatican, Sunday, Jan. 6, 2019. 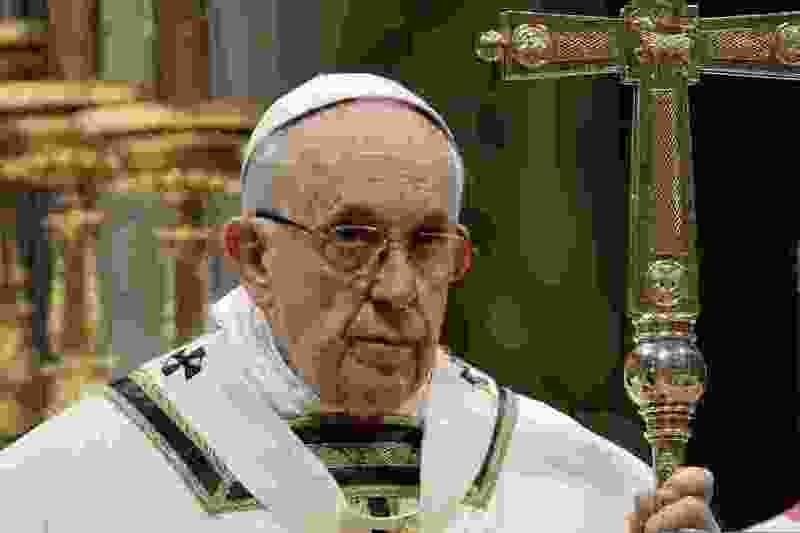 Vatican City • Pope Francis expressed concern Monday over the rise of populism and nationalism, including separatist tendencies in Europe, partly blaming those growing trends on reactions to waves of migration and on globalization’s disorderly development. Francis offered wide-ranging and sometimes glum views on world issues in an hour-long speech to diplomats at the Holy See. Without specifying countries or political parties, Francis lamented national policies favoring "quick partisan consensus" over patient efforts for long-range solutions for the common good. He cited challenges posed by "increased technological growth, which eliminates jobs, and the weakening of economic and social guarantees for workers." His concerns included "the evil of child labor" and "a progressive decrease in the value of wages, especially in developed countries, and continued discrimination against women in the workplace." "All human beings long for a better and more prosperous life, and the challenge of migration cannot be met with a mindset of violence and indifference, nor by offering merely partial solutions," he said. Italy's populist government has been denying port entry to private aid vessels that rescue migrants from Africa, Asia and elsewhere, in hopes of improved lives in Europe. U.S. President Donald Trump is sparring with lawmakers over his demands for a wall to thwart Latin American migrants crossing into the United States from Mexico. He warned that in the decades before World War II, "populist and nationalist demands proved more forceful" than international efforts for peace. He said that one of the causes was a "globalization that has in some respects developed in too rapid and disorderly a manner, resulting in a tension between globalization and local realities." In addition, Francis said that "waves of migration in recent years have caused diffidence and concern among peoples in many countries, particularly in Europe and North America, and this has led various governments to severely restrict the number of new entries, even of those in transit." Still, he said, "I do not believe that partial solutions can exist for so universal an issue." Citing the 1989 fall of the Berlin Wall and the end, shortly afterward, of "the painful division of Europe" during the Cold War, Francis urged Europeans not to forget the need to stay united amid a "temptation to erect new curtains."